Cycling organisations deflated at lack of investment in walking and cycling in the Chancellor’s comprehensive spending review. Chancellor George Osborne’s comprensive spending review makes for grim reading for active-travel advocates. Just £300m will be available for cycling, and that will go only to the existing Cycling Cities, and Highways England. At just £60m per year, this amounts to a 58 percent cut compared with the current year’s projected spending of £142m. Assuming that this is for the next five years and is not intended to cover London, CTC has calculated that it amounts to annual spending by national Government of just £1.39 per person annually in England, far short of the £10-per-head recommended in the parliamentary Get Britain Cycling report. The Treasury still has to provide more details on the spending review – in a further Statement of Available Funds –but here’s what we’ve gleaned from the "blue book", and asking around. The Department for Transport will experience cuts of 37 percent by 2019-20 but, as expected, there will nevertheless be big spending on fast-transport infrastructure, including £61 billion for High Speed 2, £13.4 billion for new trunk roads, and over £5 billion on roads maintenance (which, depending on where this £5 billion was spent could benefit cycling). Public health looks to be a big loser in today’s spending review, with the government promising to "make savings in local authority public health spending." A great deal of the responsiblity for public health has recently passed from the NHS to local authorities but local authorities are having to spend their money on essential services and social care, with spending on public health being slowly squeezed out of existence. Areas with richer businesses will likely do better than areas where businesses are not so rich – this is because local authorities will start fudning public health spending from their retained business rates receipts, as part of a move towards 100 percent business rate retention. Cycling investment of £300m until 2020-21 is £90m revenue and £210m capital. There will be £114 million for existing Cycle Ambition City schemes. Bikeability funding will continue until 2020/21. Capital funding for the Local Sustainable Transport Fund is now in a £100m five-year budget line and will go through the Local Growth Fund, but now not ringfenced. The cycling infrastructure plans in London may be scaled back in future thanks to central government phasing out the resource grant made to Transport for London, which represents 6 percent of TfL’s annual budget. Cycling could benefit from new spending on fixing potholes. There’s to be "permanent" pothole fund. The Treasury said: “In addition the Spending Review and Autumn Statement provides £250 million over the next 5 years to tackle the potholes that blight our local roads, on top of nearly £5 billion of funding for roads maintenance, a £300 million increase compared to the previous Parliament." The spending review will be throwing money at private developers so they build more houses. “This Spending Review prioritises housing by doubling the housing budget from 2018-19," said the Treasury. "It sets out the most ambitious plan since the 1970s." Houses need roads. New build roads really ought to be "cycle-proofed" so there may be scope for making sure developers build cycle infrastructure alongside infrastructure aimed at motorists. 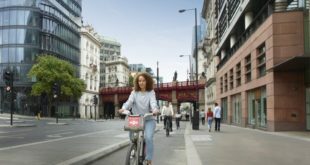 Paul Tuohy, CEO of CTC, said: "Cycling provides an incredibly cost-effective solution for our polluted air and congested roads, it defuses the ticking time bomb of an impending obesity epidemic, and it makes simple economic sense. Yet realising these benefits requires funding and leadership, which the Chancellor has conspicuously failed to provide. There’s also a bright spot for cycle sport – the chancellor pledged cash to help bring the UCI Road World Championships to the UK. British Cycling CEO Ian Drake said: “On first reaction, British Cycling welcomes measures announced by the Chancellor in his Comprehensive Spending Review. The increase in budget support for sport at a time when public spending is under so much pressure is a clear recognition of the role sport plays in our national life and the contribution it makes to society. “We also welcome the Government’s desire to support a bid for the UCI Road World Championships. Following our letter of 15 June to the Prime Minister on the subject, government knows that the highest priority in our major events strategy is ensuring a participation legacy for the sport. That is to say – those inspired by cycling’s great events need somewhere safe to try cycle sport. We believe this process can inject £640m into the economy and create new closed road facilities and cycle sport hubs to serve millions of people across the country. We are ready to discuss this with ministers and as ever we will look to deliver the best possible result for cycling. Drake was diplomatic about the transport part of the chancellor’s announcement. 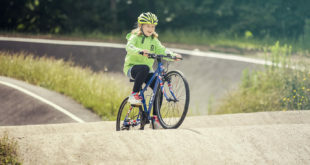 He said: “British Cycling has long been clear that different government departments need to work together to deliver a healthier, happier, more active nation. In that spirit we welcome the £300m fund announced by the Chancellor for cycling initiatives. However, it is essential that this fund is additional to the vital investment required to make our roads and junctions safer for cycling, to be brought forward by the Department for Transport in its forthcoming Cycling and Walking Investment Strategy." Drake added: "Building on manifesto commitments, a cross-party consensus and support from both business and the public, the Chancellor has given the Department for Transport the clear direction to make strategic, cost-effective infrastructure investments. As ever we stand ready to help transport ministers deliver for cycling." 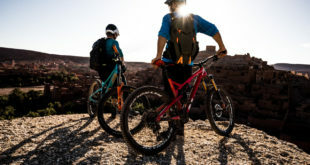 As always, the devil is in the detail and all three cycling organisations will be analysing the small-print in the spending review in more detail before commenting further.